Today the Davis Law Group received word that the American Society of Legal Advocates' (ASLA) executive committee has named firm founder Chris Davis one of the 'Top 100 Litigation Lawyers in the State of Washington'. 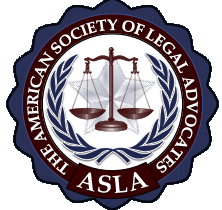 ASLA is an invitation-only legal organization comprised of the nation's most skilled lawyers. As a selectee, Davis is no eligible for membership in the prestigious organization. According to the ASLA's website "A team of lawyers has spent the last six months researching tens of thousands of lawyers across the country and selecting less than 2% of all lawyers based on an array of criteria. ASLA’s Top 100 Lawyers and Top 40 Lawyers Under 40 listings recognize exceptional legal talent and early promise among the next generation of great lawyers."